Who doesn’t love a good disaster movie? From Dante’s Peak to The Day After Tomorrow, there’s enough city-levelling action in the movie archives to terrify even the most urban of us. The genre came to a head somewhat in 2009 with the overly cheesy 2012. Directed by Roland Emmerich, aka the disaster movie king, it was a huge box-office success but audiences were turned off by the idea of destroying the entire globe. After a few years off, the genre returns with San Andreas. But can this earthquake-based blockbuster evoke memories of yesteryear’s disaster flicks? Dwayne Johnson stars as Ray Gaines, a chief rescue officer with the LAFD and in typical The Rock style, manages to captivate the audience from beginning to end of this exceptionally cheesy yet surprisingly effective movie. The beautiful Carla Gugino plays Ray’s estranged wife, Emma with Alexandra Daddario taking on the role of their daughter Blake. There’s even a small role for Kylie Minogue, though she is rather unnoticed here. 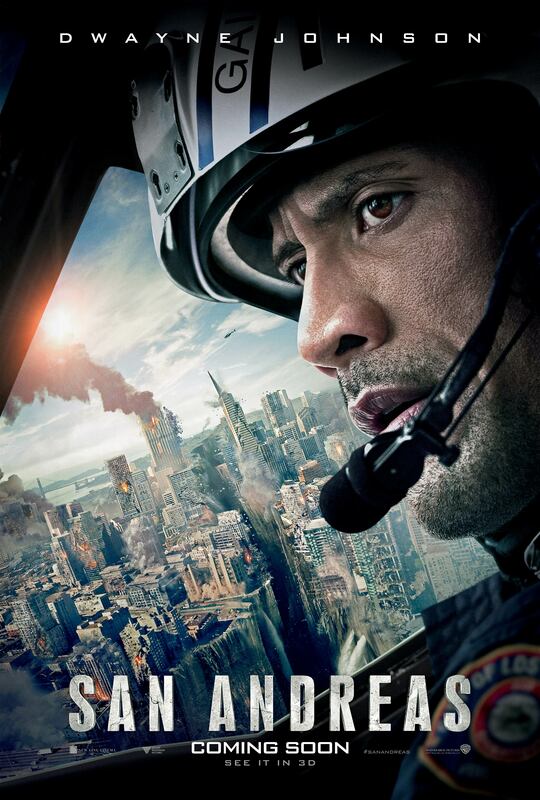 San Andreas follows the three central characters as they try to reunite with one another after a series of devastating earthquakes along the west coast of America, all of which are predicted by brilliant seismologist Lawrence – a wasted Paul Giamatti. The film is visually stunning, but as with any in the genre, lacks a defined story with the characters being thrown from one amazing set piece to another. From the very beginning the audience is subjected to gargantuan action sequences including the much-marketed tsunami that acts as a placeholder for the film’s final act – it is absolutely mesmerising to watch. Johnson proves time-and-time again that he is in the right business. Along with Schwarzenegger he is at his best in films where his brawn is needed the most and it’s certainly the case here. 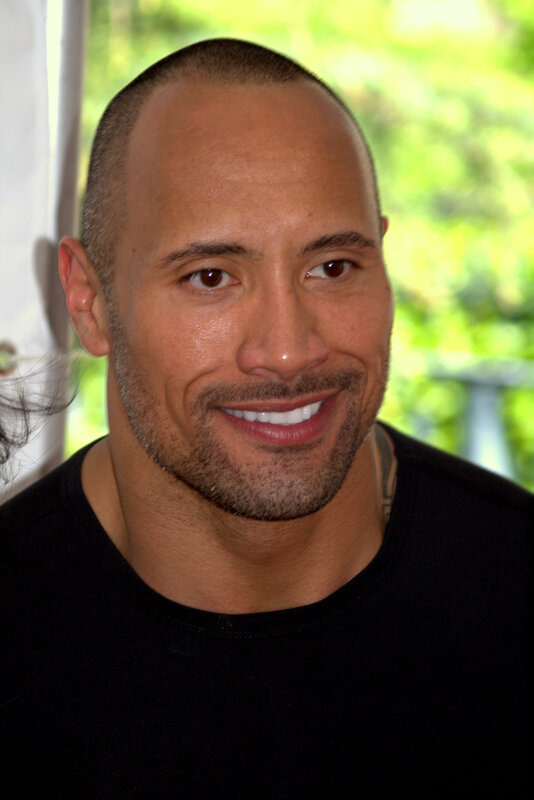 Surprisingly though, The Rock provides a rich emotional undertone due to a horrific past family incident. Unfortunately, there is such a lack of originality in San Andreas’ story that it’s easy to signpost exactly what is going to happen before it actually does. The reason? Simply because it’s been done to death. Disaster flicks are very 90s with Dante’s Peak having a similar family unit and even in the noughties, The Day After Tomorrow featuring the well-worn reuniting with children plotline. There are some clever touches however, parts of the film where you would expect generic clichés, it cleverly dangles a red herring and then moves the plot in a completely different direction. It’s clear to see that disaster movies will always find their audience. Those not looking for a deep and meaningful story and a rollercoaster ride of special effects instead will find much to enjoy here. Dwayne Johnson is superb in his role with the majority of the other characters falling by the wayside somewhat, and in the end, San Andreas proves to be a solid if not overly original experience. It’s fair to say though, this film is more than worth the price of a cinema ticket. Thanks Adam, looking forward to seeing this one. the results were surprisingly good. It was great fun. A little cheesy, but that’s what you want from a disaster film surely!? Thanks for commenting.